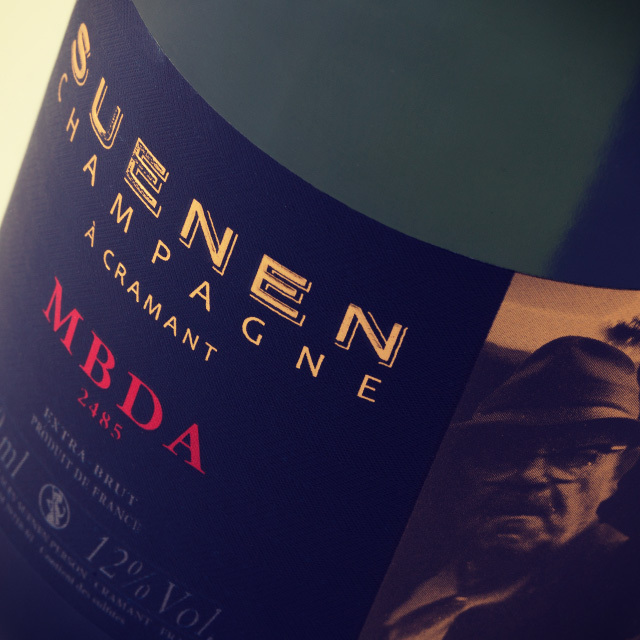 As the founder of the Suenen Champagne, I have assigned my philosophy to our wines and land since 2009. I wish to convert a unique agricultural produce into wine, in order to authentically represent the essence of my land. As a result, our wine growing and producing techniques will reflect the evolution of our wine year after year. The fragility of my land and wine require care and a particular attention to the healthiness of the soil. We have reintroduced mechanical work in order to reduce packing down of the soil, thus increasing breathing and promoting land healthiness. 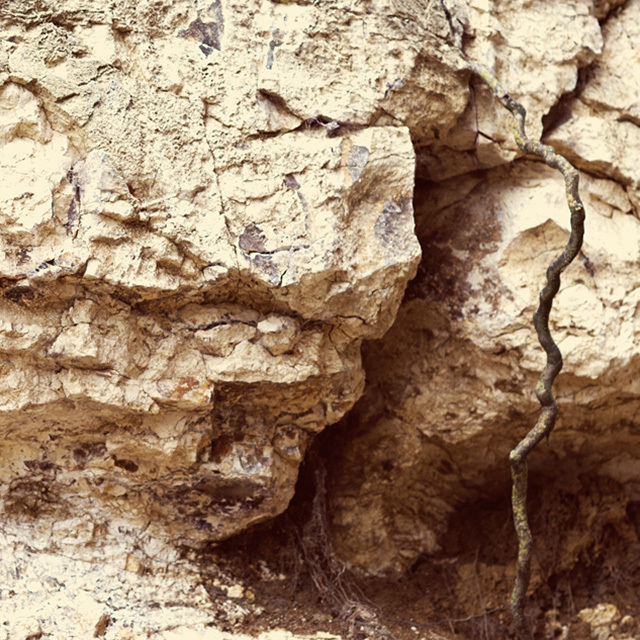 By feeding the vine with its essential needs the growing of the roots is stimulated daily, allowing them to reach deep into the chalk layer to extract the finest in minerals and authenticity. An exhaustive survey was carried out for each plot of land that constitutes my heritage. 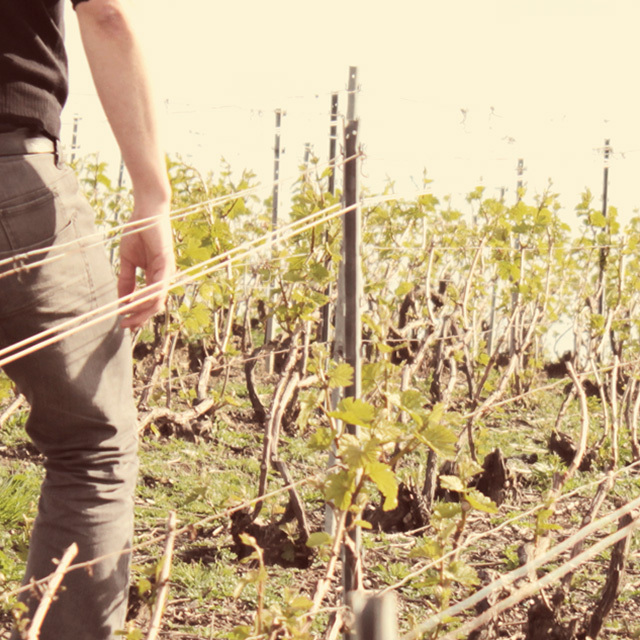 Each year, with the collaboration of their son Emmanuel, Claude and Lydia Bourguignon from the French soil analysis laboratory LAMS, select vine plots to conduct a detailed land analysis. I truly think that the organic element is my basic work tool and is therefore extremely valuable. Vine grows thanks to the energy found in soil and air. Brought to maturity, the greatly expected grapes will be picked in profusion at a precise moment. Oak barrels and tuns are used for the wine making process, perpetrating my grandfather’s legacy in the wine and spirit store. I have added an ovoid concrete tun and locust tree barrels in the historical part of the store. The use of wood an earthy natural material, allows the micro-oxygenation process our the wine barrels. Besides, I like to use enamelled tuns for some of our non-vintage wine year. Thanks to a long aging process, wine feeds on its own organic material during a six to nine-month period. Each year, conditions and production quality define the use of either poor or rich lees. Nowadays, natural yeast is partly used for fermentation of the grapes. In the future and for a first period of time, we are planning on using only our own natural yeast on selected land plots. As for the malolactic fermenting process, it is a natural and time consuming action of the wine itself that needs to be regulated for certain wines and in very specific cases. 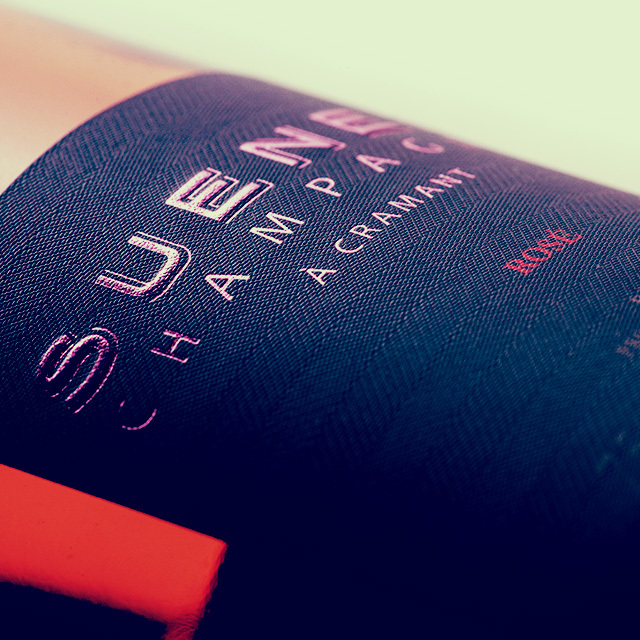 Finally, wine bottling takes place only when longer and sunnier days come closer again at the Suenen Champagne vineyards. 2011 wine base in alliance with 2010 2009 wine reserve. This is our historical and emblematic Champagne wine, produced with the three types of vine found in our Montigny sur Vesle vineyards: Pinot Noir, Pinot Meunier and Chardonnay. In this assemblage of grapes, the complexity of Pinots Noirs and Meuniers, combined with the mineral touch of the Chardonnays shows our wine heritage at its best. 2010 wine base in alliance with 2008 2009 wine reserve. 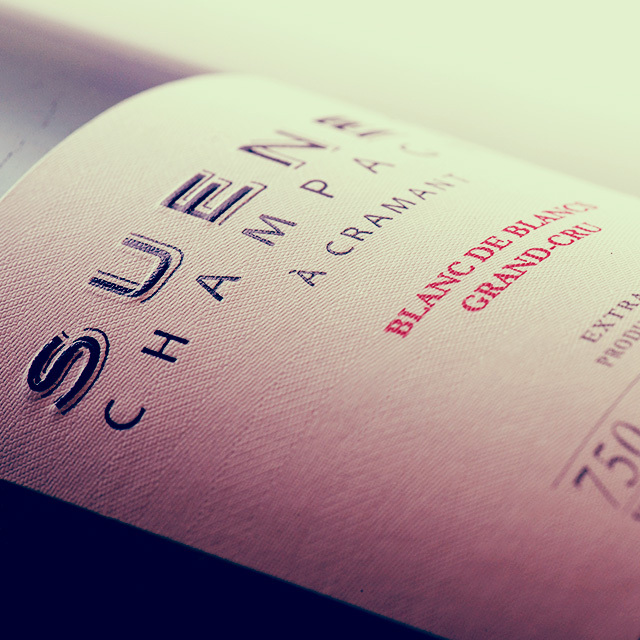 This Blanc de Blancs vintage is exclusively made from Chardonnay vine. It fully represents the region of Côte des Blancs. By assembling all our Chardonnay land plots, we have succeeded in bringing out this unique wine personality, so representative of our Champagne Grand Crus soil. This vintage results from our wish to create a rosé wine mainly from white Chardonnay grapes. The red grapes content was therefore reduced to its minimum, just enough to give the wine a rosé colour, combining lightness and the so characteristic mineral taste of the Chardonnays found in the Côte des Blancs region. The final bottling operation for this vintage is scheduled for July 2013. 2010 wine base in alliance with 2011 2009 wine reserve. This wine of champagne is a crush on assembly. It is the first wine in adequation with my wine grower philosophy. Bottling a single time. 30% vinification in barrels , 70% in enamelled steel tank . Ageing 15 months on lees for the barrels. Its composition : An assembly between our two disctinct vineyards. 53 % Pinot Noir from terroir of Montigny-sur-Vesle , 47 % Chardonnay from Grand cru terroirs of Cramant , Chouilly and Oiry . “In a given geographical area the specificity of soils results from man created and conducted actions. Soil characteristics are directly affected by cultivating habits and specificities of local populations. Thus in a same area, the activity of very distinctive civilizations may result in developing several types of soil, although the area offers identical potential and characteristics for agriculture. Soil is the result of the combined action of weather and earth. An actually active and complex environment, it is the growing matrix of the origin of plants. It is the source onto which life depends. It is my duty to know, preserve and maintain this precarious environment. Only then can grapes grow in harmony with their origins. Our vineyards spread over five hectares of land on which three types of grapes are grown. 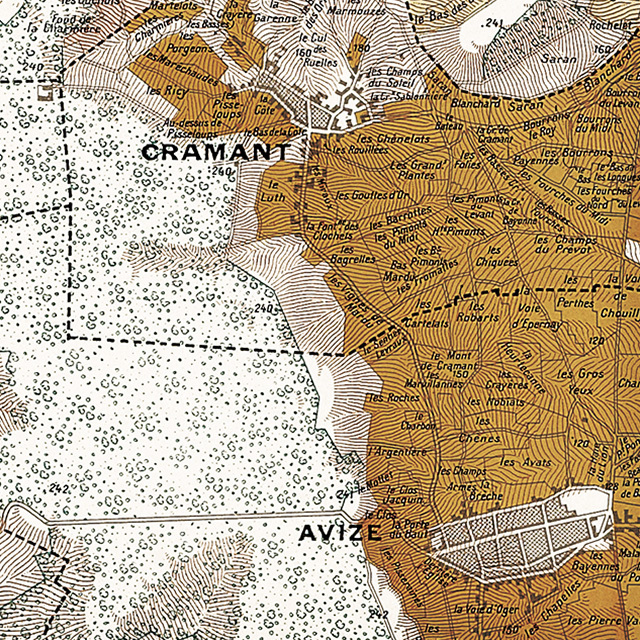 Chardonnay comes out on Côte des Blancs by the Grand Cru Champagne-labelled villages of Cramant, Chouilly and Oiry. Underground layers mainly consist of chalk from the Campenian geological era, also presenting clay in some small areas on the upper hillside. Thanks to its good water and heat retaining qualities, the surface chalk layer regulates hydration perfectly, thus providing an ideal growing base for Chardonnay vine. 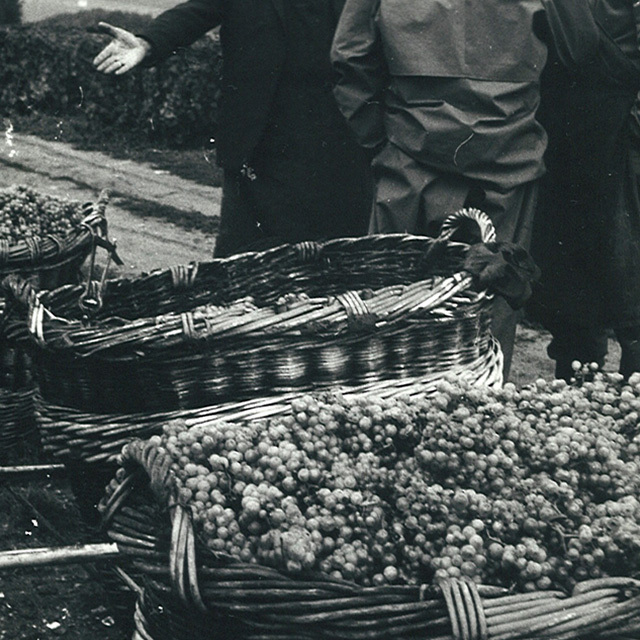 Pinot Noir and Pinot Meunier were planted from the Saint Thierry hills and the village of Montigny-sur-Vesle, along with Chardonnay, which can be found on only one land plot. The sandy underground layer, originating from chalk, clay and silt from the Tertiary era, is particularly adapted to growing Pinot Noir and Meunier. In fact, it offers the most ideal environment for growing these types of vine. It also provides the most adapted foundation for bringing Cuvée Reserve to maturity, with a final vintage operation scheduled for 2014. It is said that our family name comes from “Svenen”, a Belgium family who came to live in Damery… the home of my great grandfather. With his wife Eliza-Victorine Billiard, they gave birth to a son, Joseph, in 1871. Wine was of course not on the agenda yet. Grapes were collected from the Cramant vineyards and sold to the existing reknown wine-making houses. Joseph and his wife Laurentine Robert settled into the family household and had two children: Paulette and Marcel, my great grandfather born in 1899. Today still and in that same house, my grandmother’s souvenirs attest to the genesis of the Suenen Champagne brand. In 1924 Marcel married Simone Stourbe. 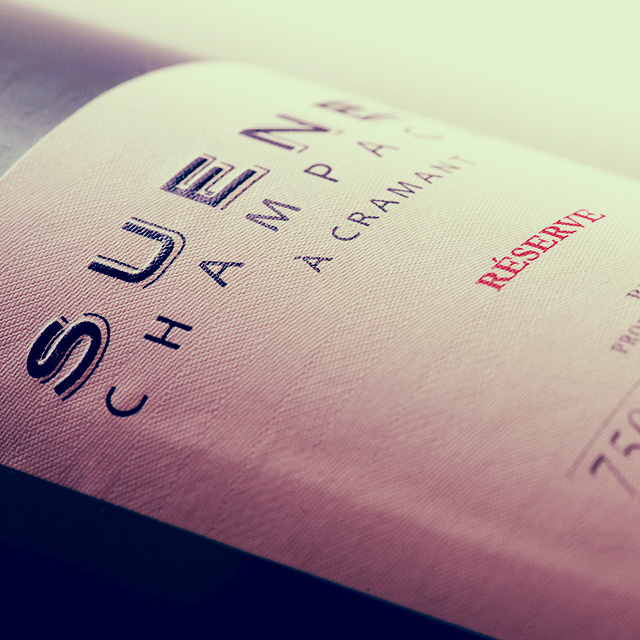 They decided to commercialise a single vat of dry Blanc de Blancs named “Champagne Suenen Stourbe”, hand-bottled and stamped by Simone herself. Alcohol abuse is dangerous for health, consume and enjoy with moderation.